Ever get the advice to just write all kinds of content and then watch the traffic flow in? What’s been your experience with that? Got all the traffic you want? Sadly, many companies don’t get all the traffic and sales they should from their content. And yes, it does sometimes happen that companies flood the web with content…and end up with practically nothing for their effort. So how do you create content that generates real business results? 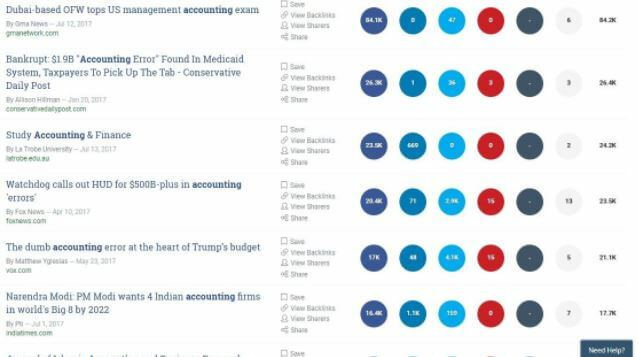 Buzzsumo’s tool scans the web and finds the topics with the most shares. Just like Google, you simply enter a keyword to find what you want. As you can see, several of the top-shared posts focus on controversial accounting topics. So clearly, that’s a good angle to use to get more shares. You simply have to make sure you tie the topic back to your customers and show them the pain it could cause. For example, you might write a story about taxpayers overpaying by $2 billion. Then, your accounting service lines up nicely as a solution that helps taxpayers save money and avoid overpaying. This is just a quick analysis. Make sure you read a good 50 or so posts to get a good idea of what works in your niche. You’ll do quite nicely by simply creating your own version of what’s already proven popular. …But you can do even better if you top the best you can find. This would be a long-term approach to content marketing. It results in consistently higher search rankings that last for years to come. With the accounting example, you might use the overpaying angle as the opening story. Then, you could share tips, both from yourself and other credible sources, that help taxpayers avoid overpaying. …Except you don’t just stop with 3, 5, 7, or 10 lame tips. You go way above and beyond, featuring 25, 50, or even 100. Wouldn’t that make for a long post? But you see, since most companies aren’t willing to do the same amount of work, you give yourself a huge competitive advantage. You may even be able to only write one such post per month. Because you’ve done something so different that most other companies won’t duplicate, you’ve got a much more secure position in search. Far more secure than pumping out 50 – 100 short posts throughout the entire year. 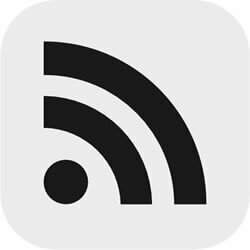 Is your blog not yet the go-to thousands of people read daily? Admittedly, your blog may only have a few regular readers at this point. Every small business deals with the same issue. Putting in some good ol’ fashioned sweat equity solves that for you though. At Buzzsumo, and at another tool which does the same thing, ahrefs, you can see all the sites that link to the popular article you emulated. But remember, you made yours much better. So, reach out by email to each site that linked to the original post you chose. Just let them know you created a more thorough version. Some will ignore you. But some will share your post. And others will link to it. You may want to outsource this process because frankly, there’s no magic trick or special skill to it. You just email other linking sites and enjoy the results you get. That’s all there is to this. Now, you simply do it over again. Of course, you’ll notice tiny improvements you can make that get you even better results. But if you focus on this strategy, it’s one of the surest ways to secure yourself high search rankings and quality customers for a long, long time!